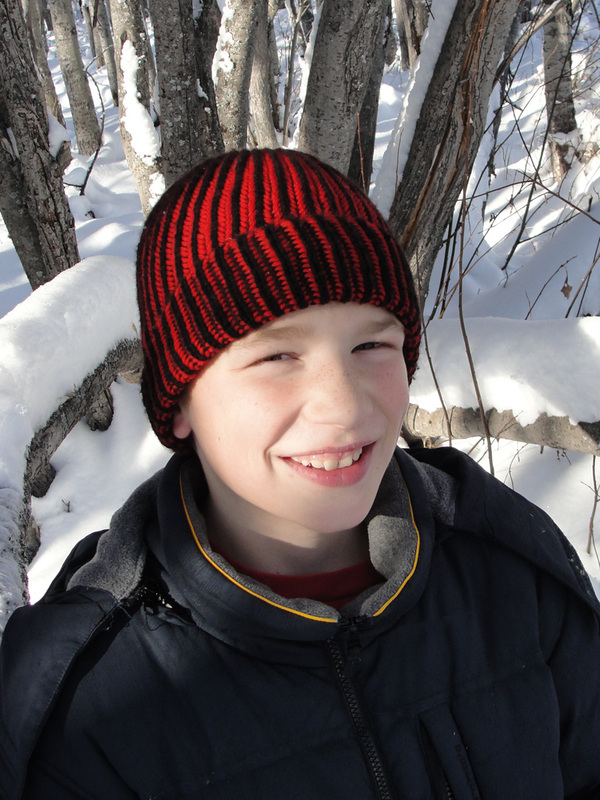 Learn Brioche Stitch with this simple knit cap! Inspired by the Liberty Caps of the French Revolution, this striking toque would look amazing with many colour combinations. It can be worn inside-out or outside-in to make black or red (or your two colour choices) the more predominant colour. This is the perfect way to start knitting brioche! You never know--it just might start you on a knitting revolution! SKILL LEVEL: Intermediate. You do not have to know how to knit brioche, as it is explained in the pattern. TUTORIALS: 2-Colour Long Tail Cast On photo tutorial, plus a full glossary and schematic are included. The brioche stitches also have definitions and photos showing what they look like. SKILLS YOU WILL NEED TO MAKE THIS PATTERN: Knit, purl, knit cast-on, make a gauge swatch in Stockinette Stitch. PATTERN REQUIREMENTS: 1 50g/3.5 oz (100.6 m/110 yds each) worsted-weight ball each of two contrasting colours of a natural fibre yarn (Brioche does not work well with 100% synthetic fibres; I used "Knit Picks Swish Worsted"); 3.5 mm (US 4) double-pointed needles OR SIZE NEEDED TO OBTAIN GAUGE; yarn needle.